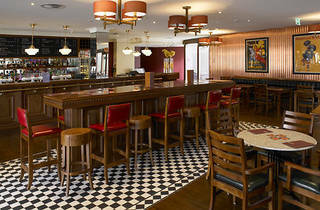 The Union Hotel underwent a little makeover not long back and the result is a modern take on the classic pub. There is a redwood bar, faux fireplaces and heavy, polished wooden furniture. The expansive beer garden is the Union's main attraction and a mix of stone and varnished wooden picnic tables allows for about 80 people to comfortably enjoy their drinks al fresco. The other main drawcard? Sport. There are several big plasma screens both inside and out, meaning you can enjoy the game in the courtyard with a cold brew. And what a range there is. The usual local brews are available as well as slightly more boutique varieties (James Squire) and a few continental gems – Heineken, Beck's and Kronenberg are all available on tap. It seems the Union's makeover covered more than just interiors. 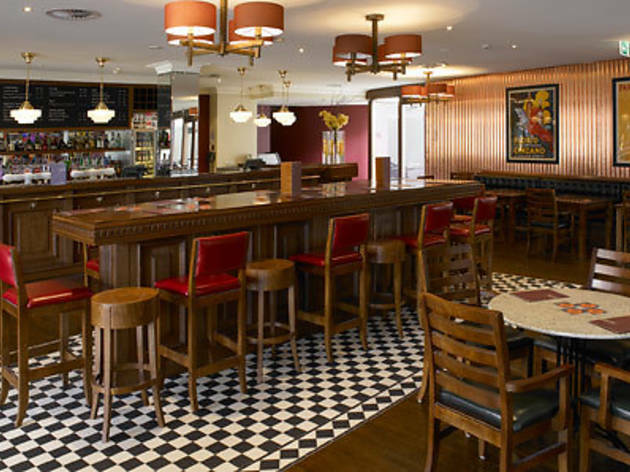 The food menu boasts French bistro classics: select something from the grill (swordfish, salmon, Angus rib eye or fillet mignon) or try the escargot or house-made chicken liver paté: perfect to accompany your schooner of 1664. There is a cocktail menu of pop classics and the wine list is a modest selection of Australian and French drops. The Union is also right next door to the cop shop, so mind you're on your best behaviour. There's every chance a few boys in blue will be in the beer garden checking the score.